TAC-1 offers exciting courses in Pistol, Rifle, Shotgun and Edged Weapons to beginners to trained and educated armed responsible citizens’ (TEARC) and as well as to the law enforcement communities. Students will learn from some of the best instructors the industry can offer. 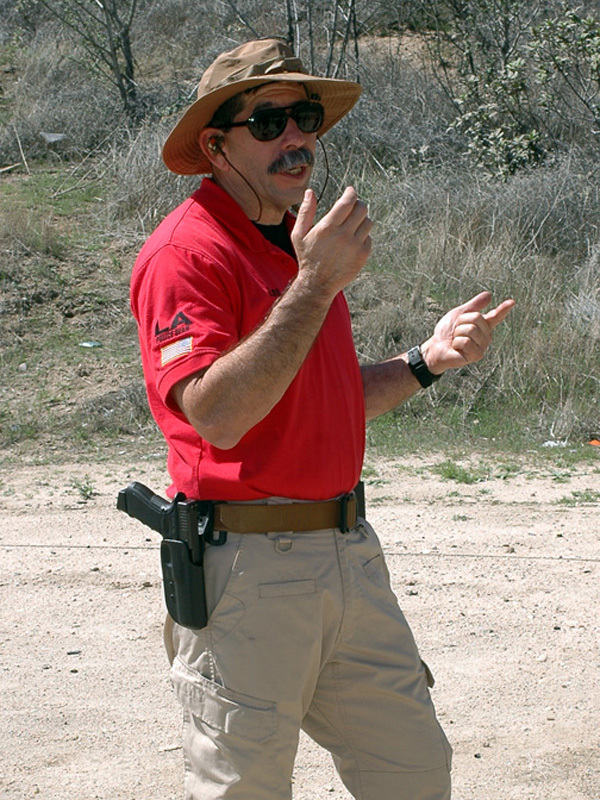 TAC-1 truly prides itself in offering the best and the safest ways to operate an handgun. We address all the different issues related to many types of semi-automatic handguns whether a 1911, Glock safe action striker fire gun, XD with an external type safety, Sig with frame mounted de-cocking lever safety and more. With an unique feature of weapon systems come with a unique set of operative functions. TAC-1 instructors are aware of these differences and will guide each student with nuances associated with today's handguns. 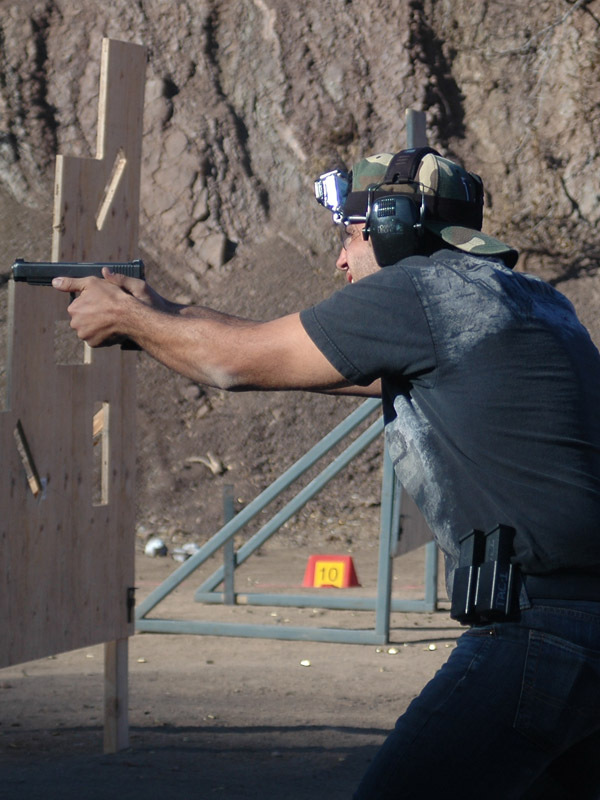 Learning to shoot well to win a gunfight is no small task. Shooting at paper or steel targets is an easy task, but shooting at an living human being to save your life is a whole other matter. 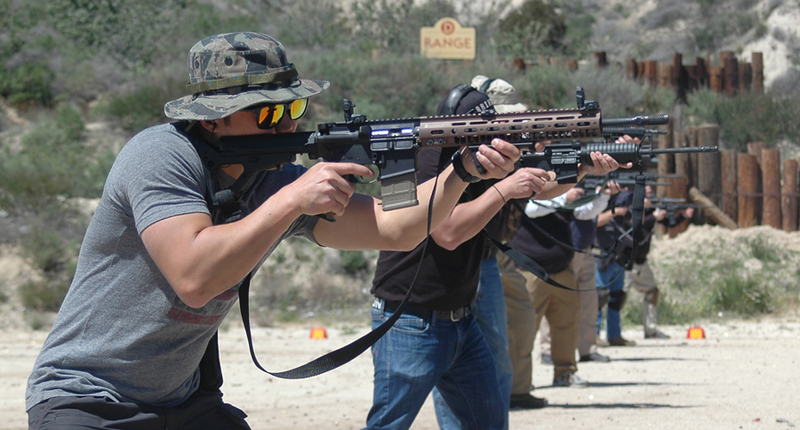 The TAC-1 training is not about just learning how to shoot a firearm. Training courses are practical and tactical - based on real world incidents taken out of the daily newspaper. With combined 85 years of law enforcement experience, TAC-1 instructors are professional and are at the cutting edge of firearms and weapons training. TAC-1 prides itself in teaching and developing techniques - not through mere tradition, but through stringent research out of real life incidents. It was once warned by Fairbairn and Sykes, “Without an adequate knowledge of its use, there can be few things so purposeless and dangerous as a pistol.” It went on to say that the adequate knowledge comes only from competent instruction. TAC-1 offers classes on the practical use of small arms, including handguns, shotguns, carbines/rifles, edged weapon and empty hand defense. Our intention is to provide competent training by well qualified instructors. TAC-1training will exceed standard law enforcement training offered anywhere across the country. Safety always comes first. We have stringent safety rules and system on and off the range to ensure everyone's safety. Our safe & effective methodology is drawn from decades of experience in law enforcement, tactical training and real life scenarios. 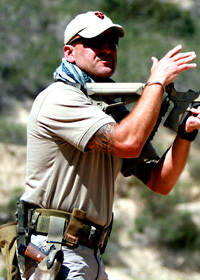 We offer a no-nonsense, combat proven tactical firearms training curriculum. In short, we use what works from the ground up safely. Every class builds on a defensive mindset particular to the individual tactical discipline. Incorporating mindset development into tactical training greatly increases the chances of success and the survival rate in a lethal confrontation. TAC-1's consistent methodology train our students to manage stress and promote the ability to think critically to swiftly assess and respond to a deadly situation. The instructor cadre not only stays proficient at existing skill sets, but invests significant effort researching and testing techniques being employed around the country. By constantly honing on their own skills, the instructors are able to continually improve the course material keeping the curriculum living and dynamic. The doctrinal foundation of TAC-1 is the Combat Triad. It is composed of the three elements consisting of Combat Mindset (spirit), Skills (marksmanship, weapons handling) and Tactics (ways to gain advantage) . It is represented by the TAC-1 crest/tomoe-mon（巴紋） using the magatama (comma) symbols within the circle that are endless, interconnecting and equal in importance. These three elements are the foundation in which the ability to face and defeat violent adversary is laid out. They mutually support and complement one another; all three must be developed to the highest level of which one is capable to insure that one responds properly to violence if eminent. Mindset, however, stands at the pinnacle as our brain is the most important weapon when it comes to gun fighting. Our intention is to provide competent training by well qualified instructors. TAC-1 training will exceed standard law enforcement training offered anywhere across the country. TAC-1’s service is here to assist students in acquiring peace of mind by knowing that they are not helpless in the face of dangerous adversity. Those who are prepared for trouble are usually bypassed and instead easier targets are selected. We established TAC-1 to fulfill this need in our community.